Home / Blog / Why Do We Give Chocolates for Valentine’s Day? 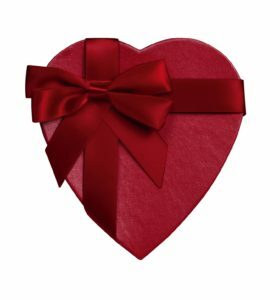 Learn why we give chocolates to our loved ones for Valentine’s Day. Valentine’s Day is a little more than a week away – if you haven’t gotten anything for your loved ones, there’s still time! If you’re like most of us, the first Valentine’s gift you’ll grab is some chocolate. But have you ever wondered why chocolate is the go-to gift for Valentine’s Day? Read on to find out some history behind it. While the origins of Valentine’s Day can be traced back to ancient Rome, its connection to romantic love is a bit more recent. In the late 1300s, renowned poet Geoffrey Chaucer wrote Parlement of Foules, a poem that referenced St. Valentine’s Day as a day for romantic love. At the time, the act of courtship was an integral part of society; this process involved people writing notes and giving flowers to those who they were courting. Centuries later, Valentine’s Day had become a widely-celebrated holiday in most of the Western world. This was especially true in Victorian England; the Victorians loved to shower their loved ones with gifts, which provided an opportunity for chocolate-makers to incorporate their product into the holiday celebrations. In 1861, Richard Cadbury devised an ingenious strategy to market his “eating chocolates” to people celebrating Valentine’s Day; he placed pictures of roses and Cupid on his heart-shaped boxes of chocolate to entice people into buying them. This started the trend of giving chocolates for Valentine’s Day that still exists today. Here at Wockenfuss, we have a variety of Valentine’s Day chocolates that are perfect for your loved ones. From our dark chocolate foil hearts to our one-pound chocolate assortments, you’re sure to find the perfect chocolate treat for Valentine’s Day. Visit one of our store locations or order online to make sure you get your chocolates before Valentine’s Day! VALENTINE’S DAY CHOCOLATE AT WOCKENFUSS CANDIES! Wockenfuss has all of your favorite dark, milk, and white chocolates! Whether you prefer truffles, nut bark, or sugar-free chocolates, Wockenfuss has what you and your loved ones will enjoy. Since 1915, Wockenfuss has been a family owned and operated business creating the finest confections in Baltimore, Maryland. With our nine convenient locations throughout Maryland, there is sure to be a Wockenfuss store near you. Come and visit us to see our selection of favorites such as our gourmet truffles, chocolate specialties, and much more! This entry was posted on Wednesday, February 6th, 2019 at 3:25 pm. You can skip to the end and leave a response. Pinging is currently not allowed.